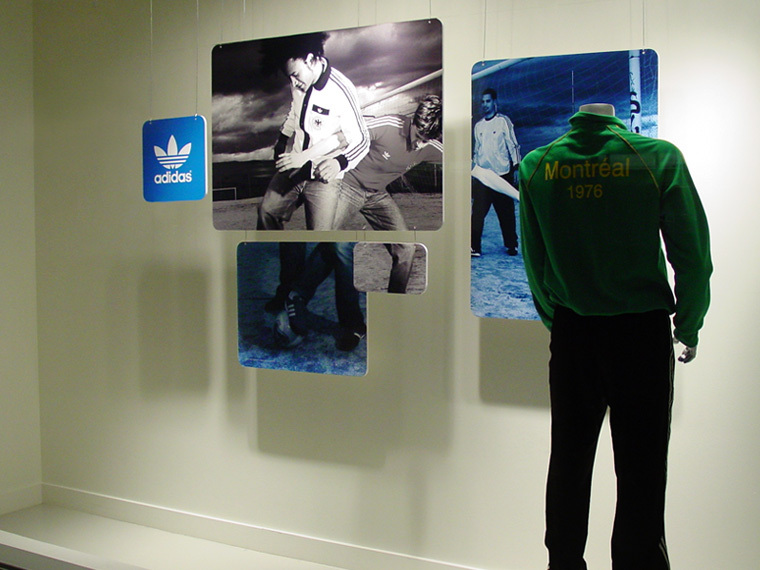 Designing a retail graphics package for the Adidas “Originals” line presented an exciting opportunity to support the vintage-inspired line of apparel. 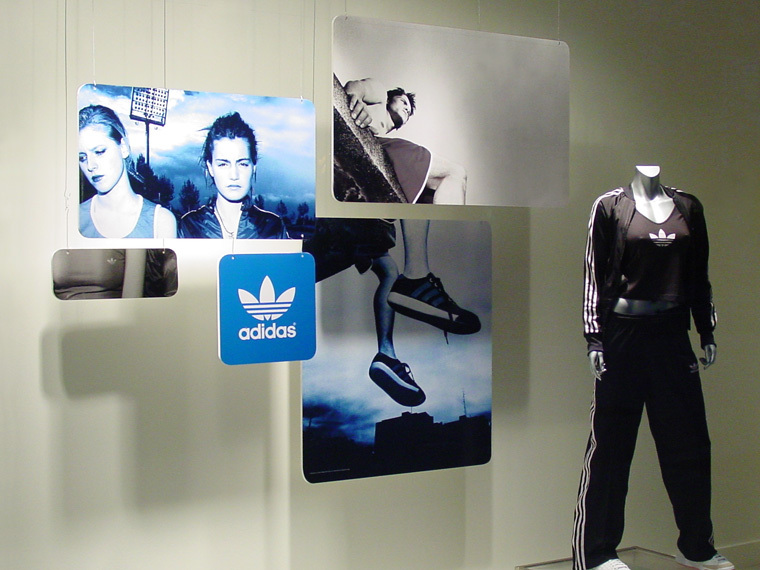 We developed a system of suspended graphic panels for flagship store window displays. Images were divided across the panels, placed at varying depths, to create visual interest at street level. In addition to many in-store graphics programs developed over the years, we designed a launch kit for a new retail fixture system. 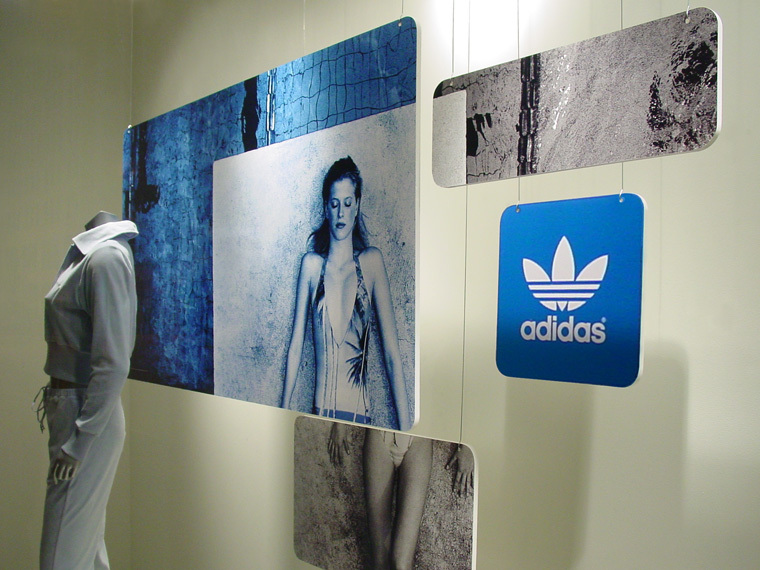 It was devised to excite and educate partners at Adidas retail stores, and put a sample into their hands. 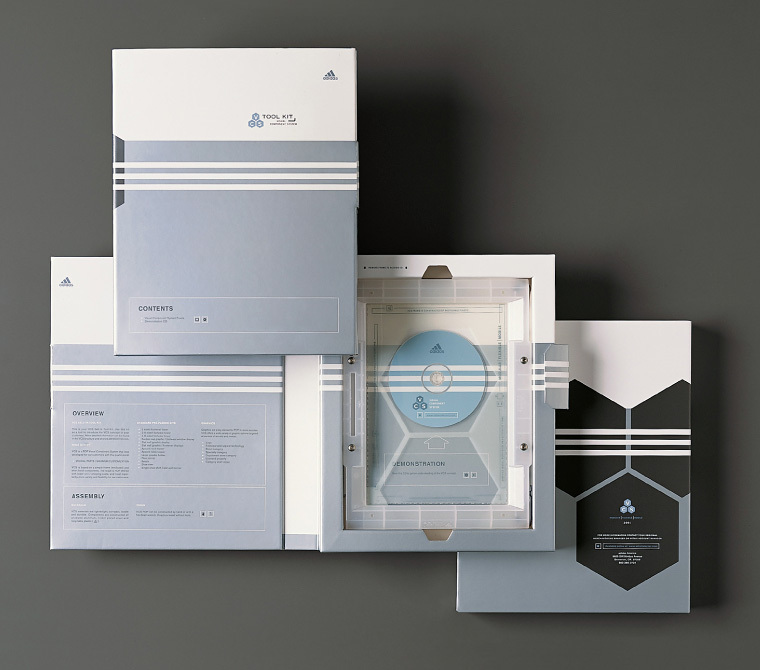 Packaging was created to house the core fixture component and demonstration materials, including a tutorial dvd with a fly-through animation that we directed.